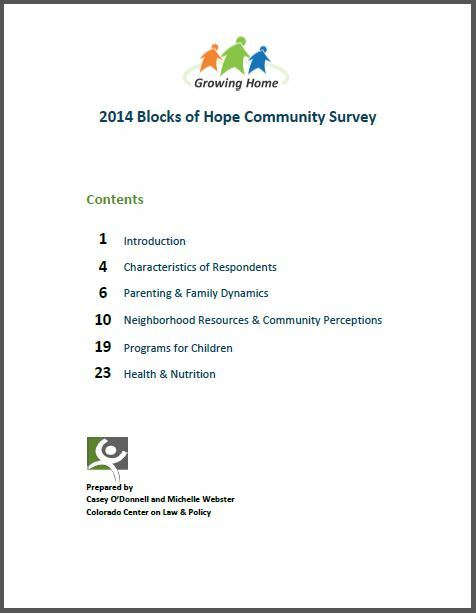 In 2014 Growing Home launched the “Blocks of Hope” collective impact initiative in the neighborhood surrounding Tennyson Knolls Elementary School. As a neighborhood struggles with high concentrations of poverty and low student achievement, Growing Home decided to concentrate services in the neighborhood to ensure more kids and families have opportunities to thrive. As a first step toward these goals, Growing Home will hire a part-time Community Organizer to identify and develop community leaders who can give voice to community needs and perspectives in decision making forums and strengthen the neighborhood from within. In addition, Growing Home continues to expand Blocks of Hope programming to create a rich pipeline of services for young children, families, and students. Growing Home maintains a strong commitment to tracking outcomes and enhancing evaluation tools in order to demonstrate results.